Use of textures in web design gives a unique and lasting impression to the design. Thus momentum of using textures within design is increasing. Every day there are many websites that made use of textures are launched and a lots of useful and amazing texture packs are created. Although it takes some times to me for sorting out textures, here is the finest result. 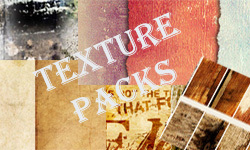 In this post, there are hand picked sets of textures that are filled with usefulness and beauty.